Large Flightless Birds is based for the hurricane season in Wilmington NC. The sunsets have been gorgeous. 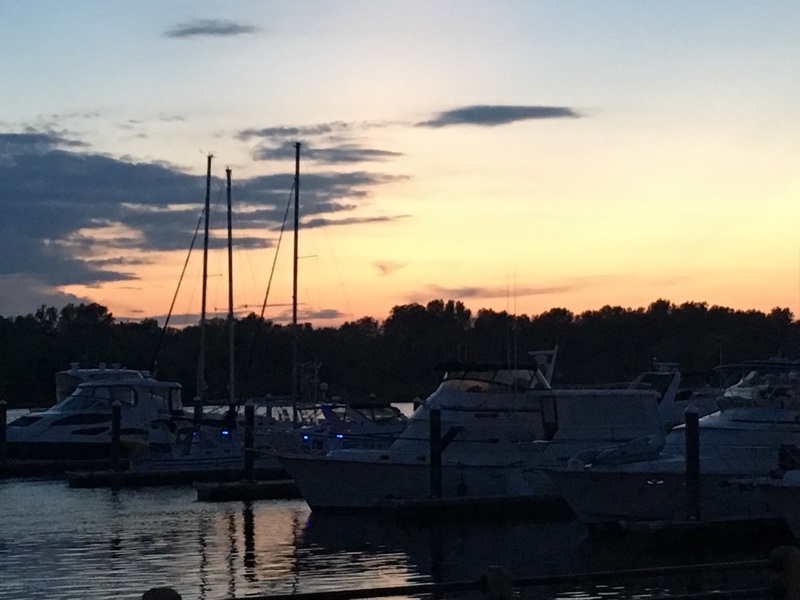 The marina team has been wonderful, although there is a great deal of construction going on, leaving dust and grit on all the surfaces from the unpaved lots around the area. Construction is due to start soon on office and residential space so it will not improve for a while. 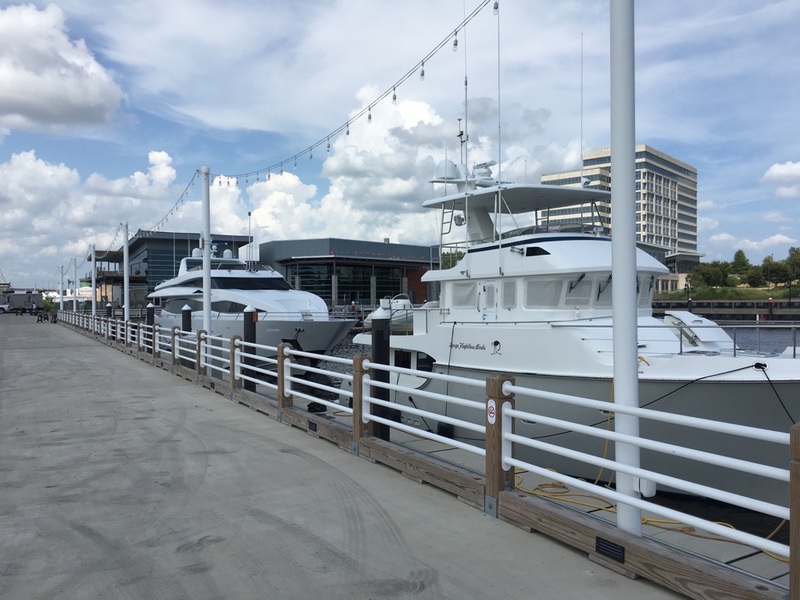 We moved out of our regular slip to the fuel dock at Port City Marina. 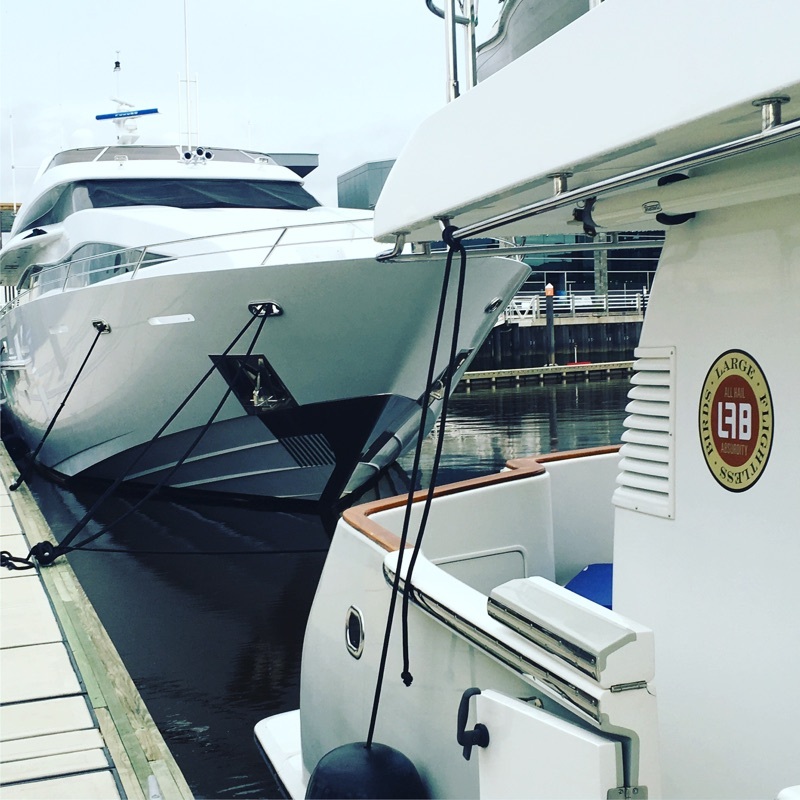 Added 1,200 gallons of diesel (at $1.81 per gallon) to our tanks and then took up residence while we waited for some charter guests to show up. Found ourselves in front of a lovely 112MY, the crew are great folks and have helped us out by keeping an eye on LFB when we are not around. 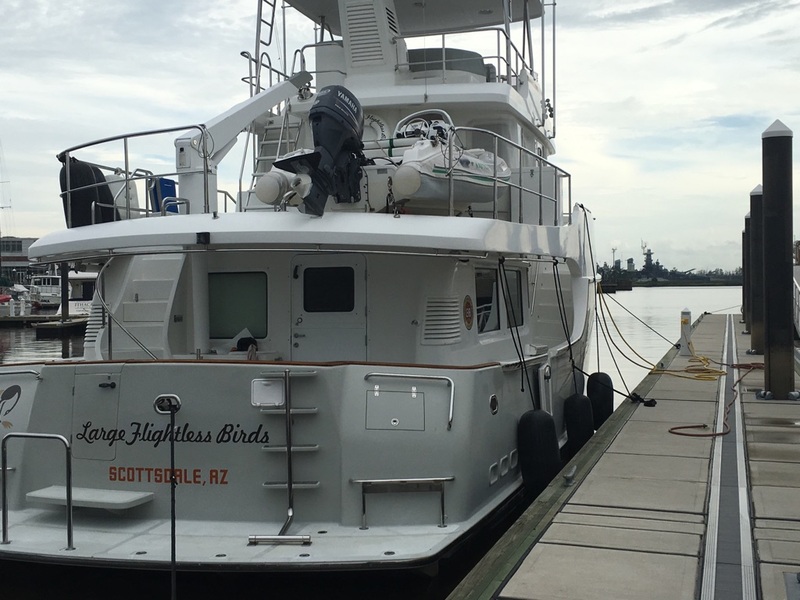 Wilmington is hosting a big boat show September 9-11th, and Large Flightless Birds will be at the Port City Marina in slip B14. Drop by and say hello!